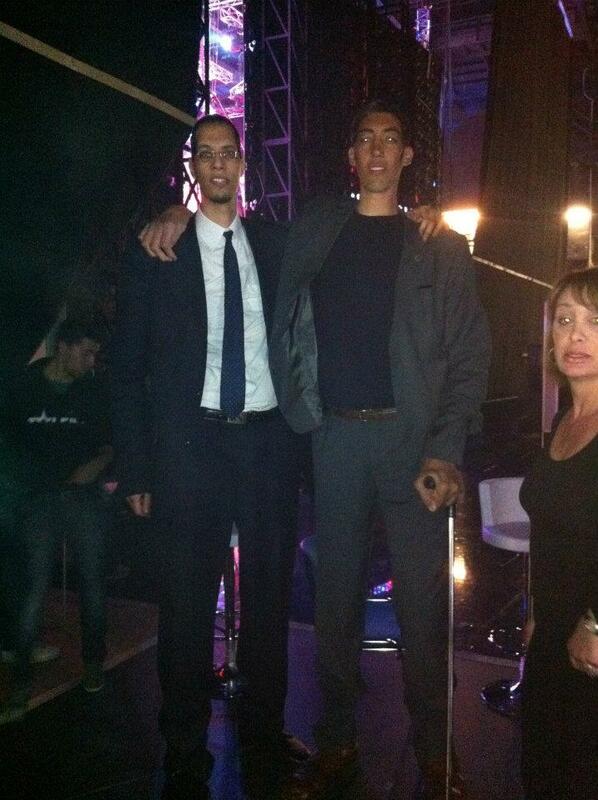 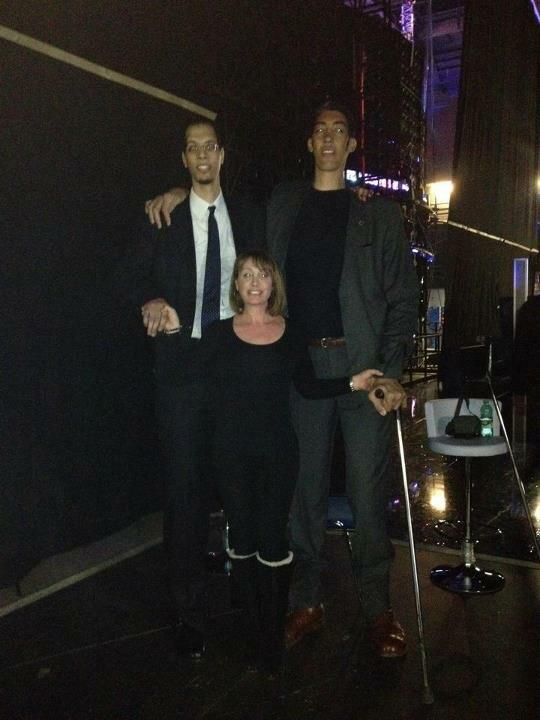 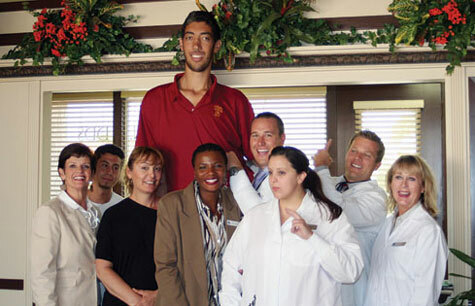 The tallest of living people. 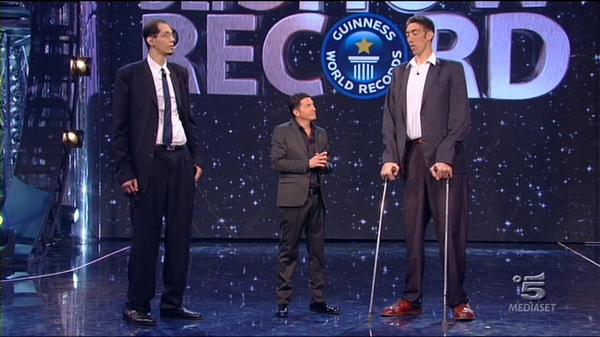 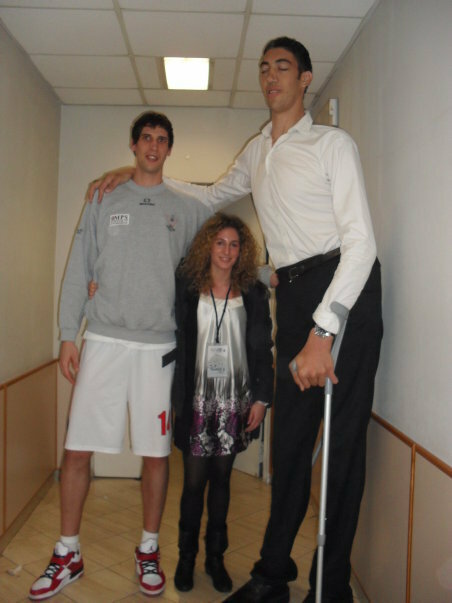 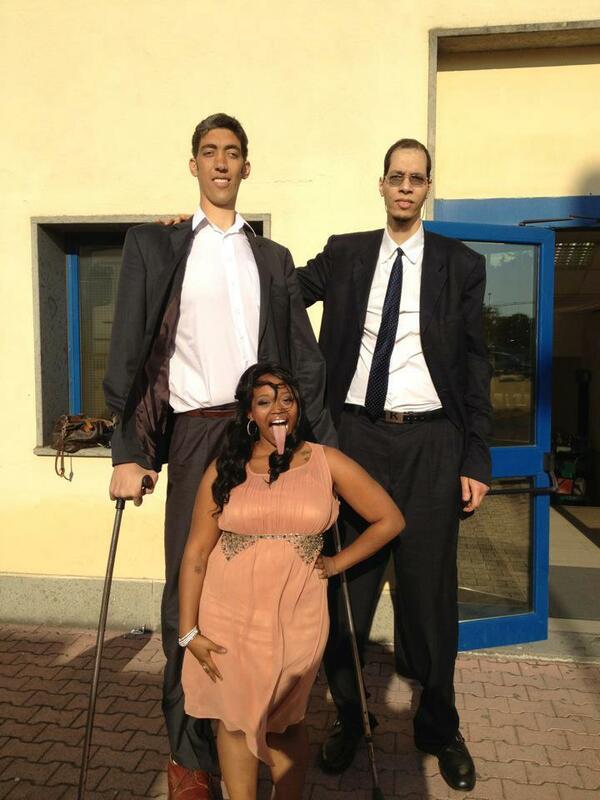 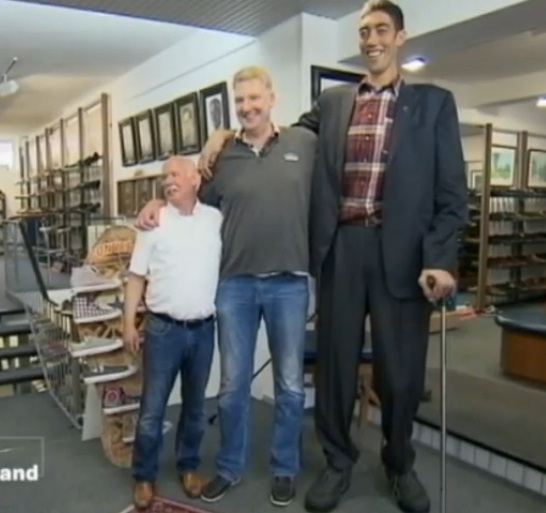 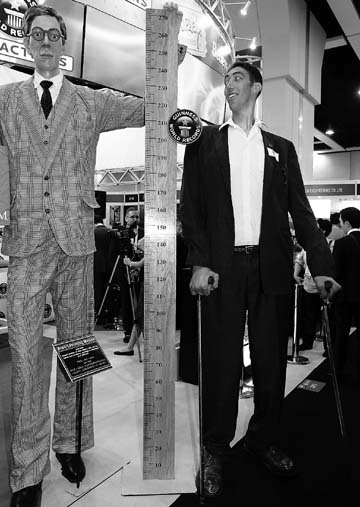 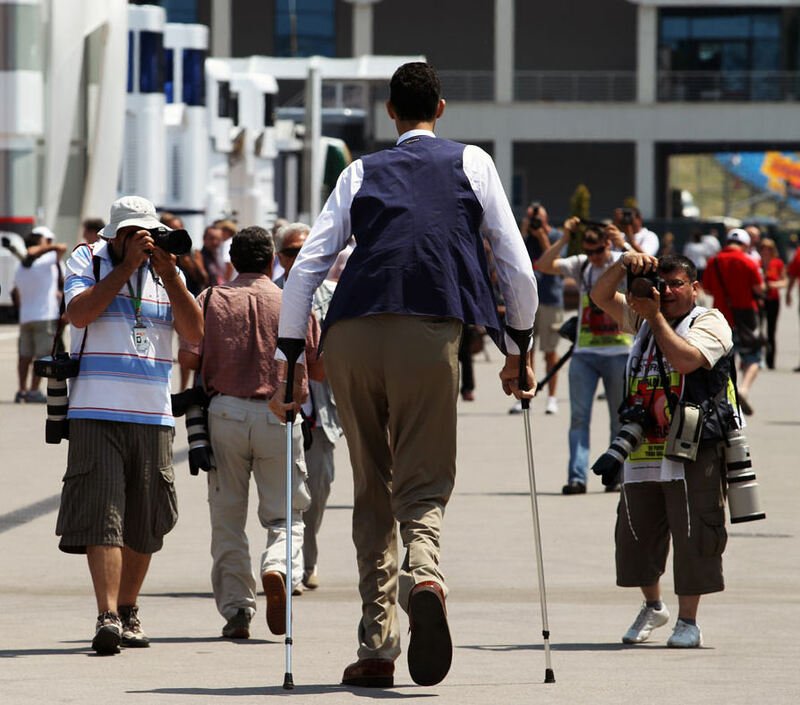 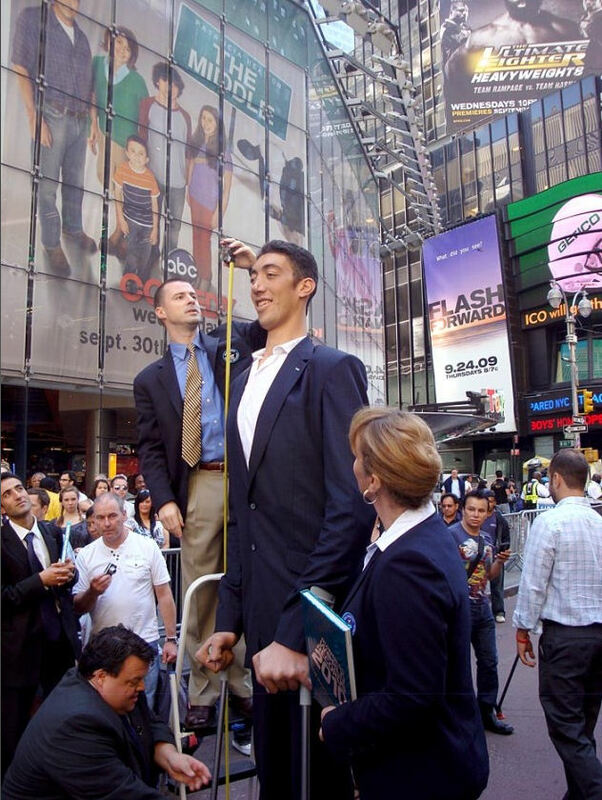 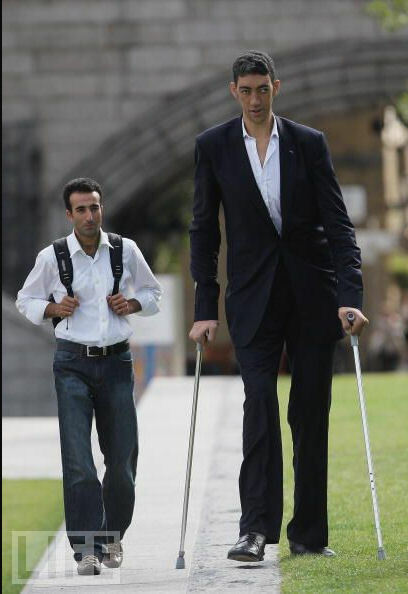 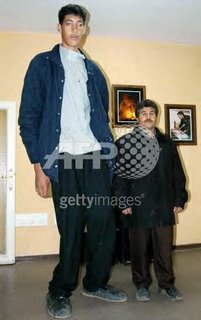 In 2010, 2011 and 2012, Guinness World Records tagging Kёsena Sultan (born 10 December 1982) as the tallest man in the world, and with the biggest hands (28.5 centimeters) and largest feet (36.5 centimeters). 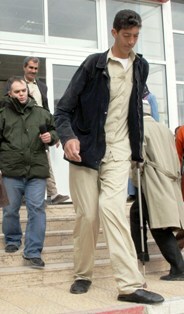 shown at the time of the last measurement, February 8, 2011. 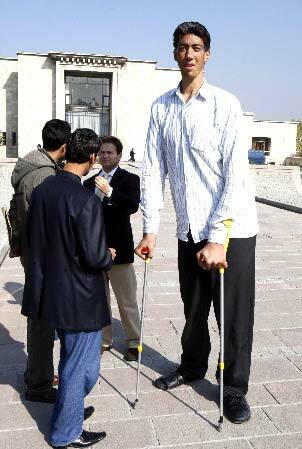 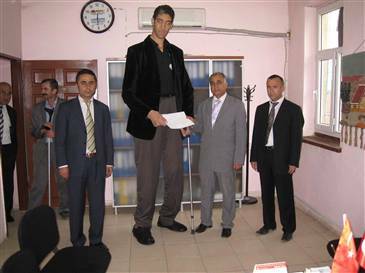 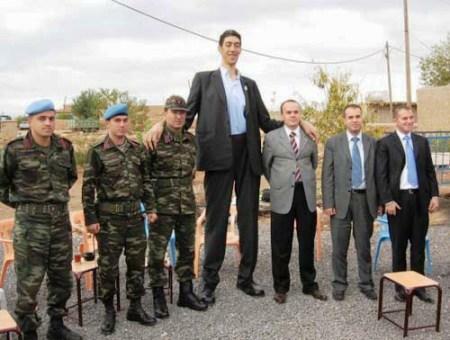 According to Guinness, Sultan Kёsen is the tallest living man with the growth of 246.5 cm when measured GWR in Ankara, Turkey, in February 2009. 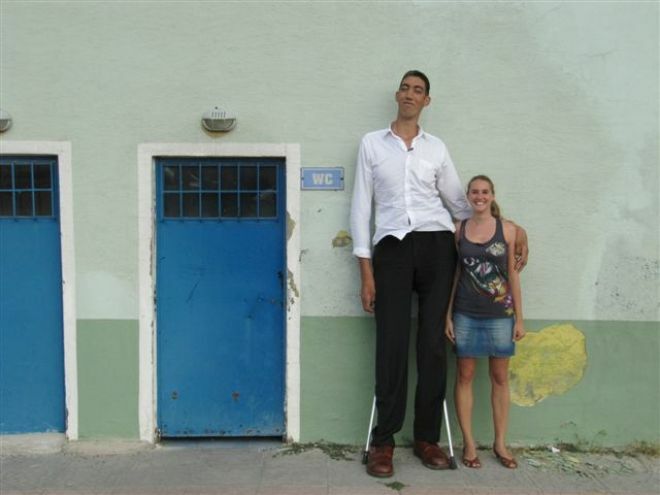 He is still growing. 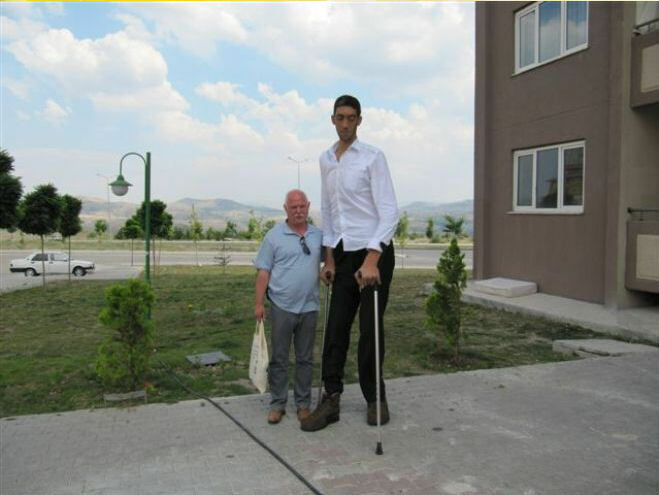 On February 8, 2011 it was measured in Ankara, Turkey showed 251 cm. 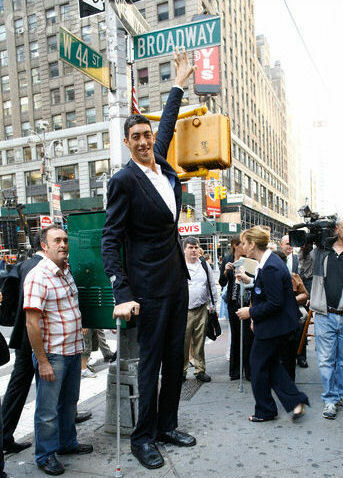 Sultan Kёsena arm span is about 3 meters. 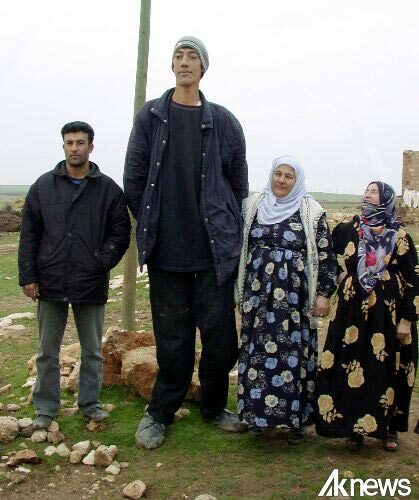 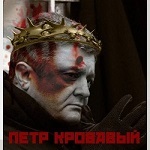 Sultan Kёsen not graduated from high school because of his great height, working farmers to provide for their family. 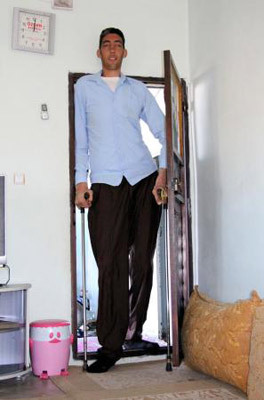 The second child in the family of a truck driver and a housewife from Mardin (near the border with Iraq). 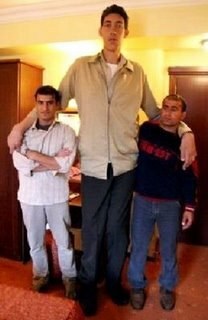 He has three brothers and a sister, all of which are of normal size. 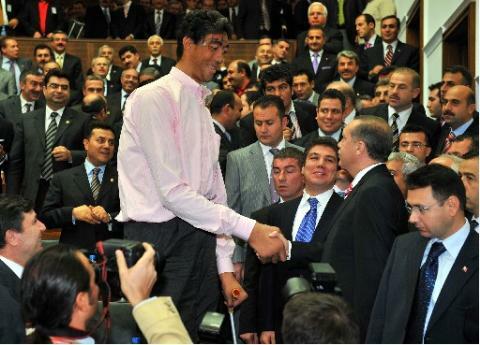 Largest after the Sultan has height 183 cm. 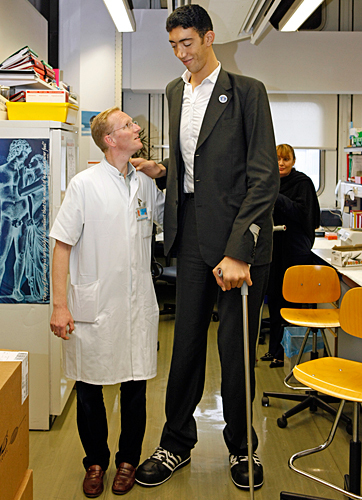 At the age of 10, he began to grow rapidly due to a tumor. 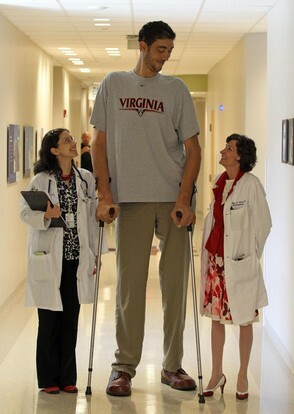 Sultan Kёsen treated at the University of Virginia in 2010. 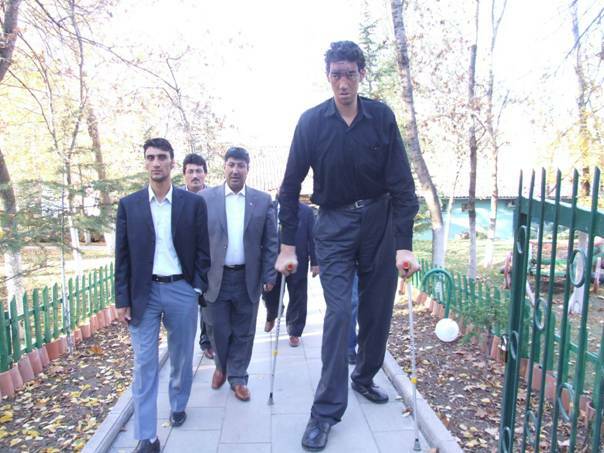 The tumor was successfully removed in surgery. 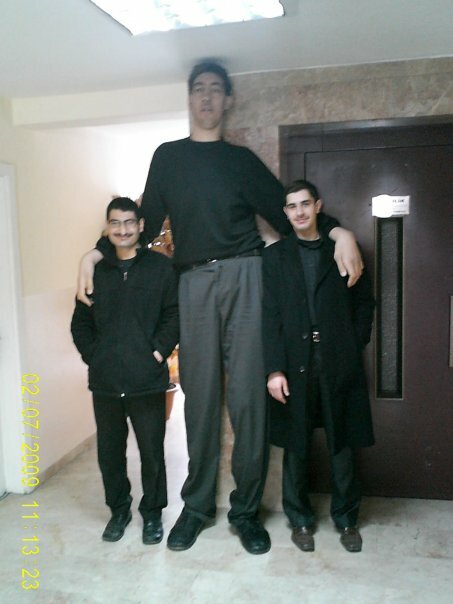 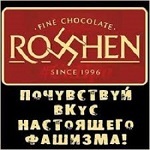 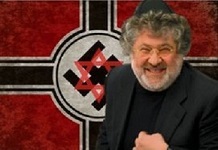 Early 2012 Turkish doctors confirmed that Kёsen stopped growing. 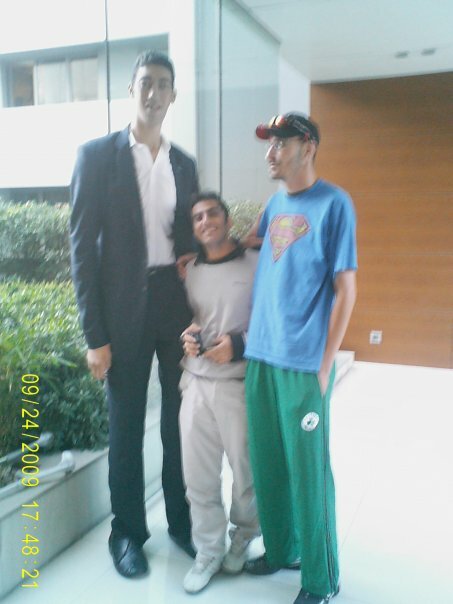 In 2003, he was discovered by a scout from the club & laquo; Galatasaray & raquo; Kavita Altunay. 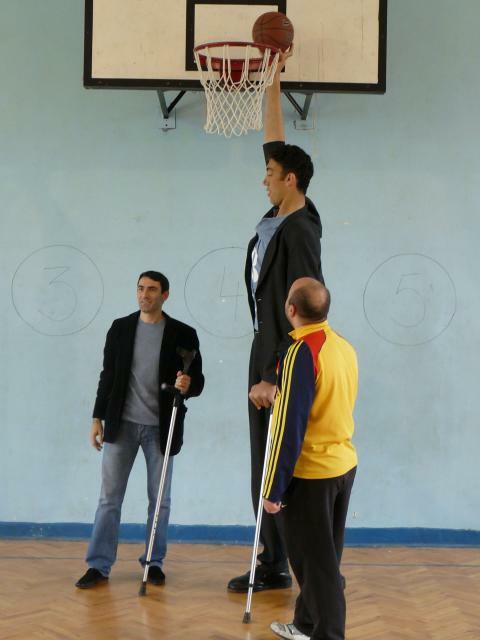 Trying to learn to play basketball. 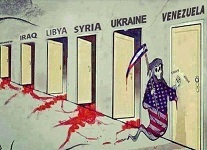 They even wanted to send to the United States. 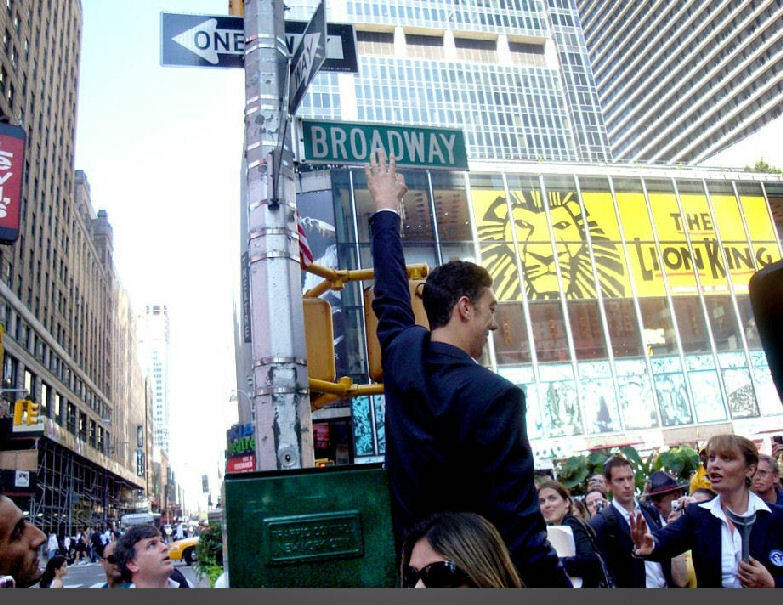 Since then, he travels the world. 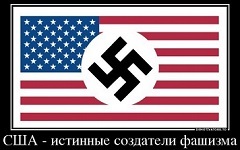 Was in Russia, England, Germany, Austria, United States, Iceland, Ireland, Netherlands, Belgium, Norway, Romania, Cuba, Hong Kong, Thailand and Brazil. 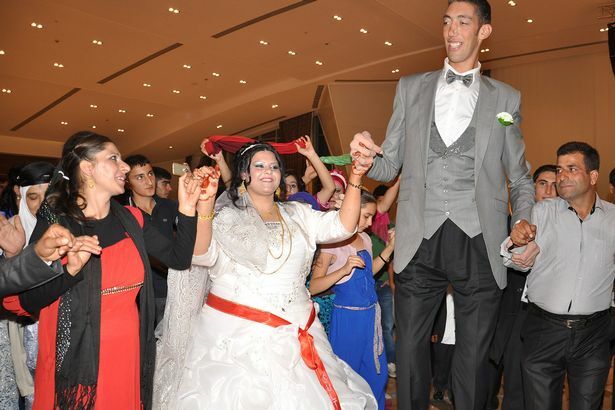 In 2013 he married the darling of Syrian origin. 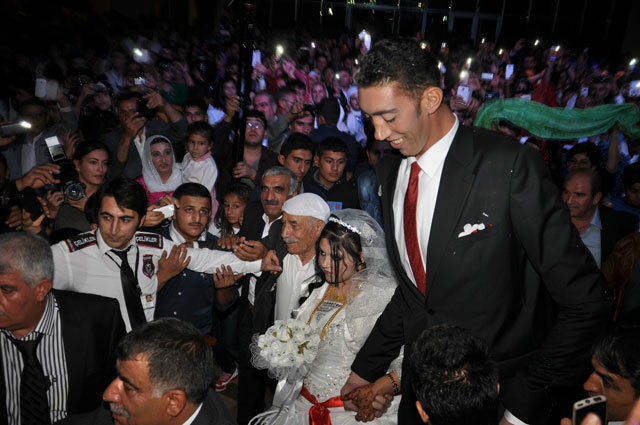 The wedding took place in the province of Mardin near the Syrian border. 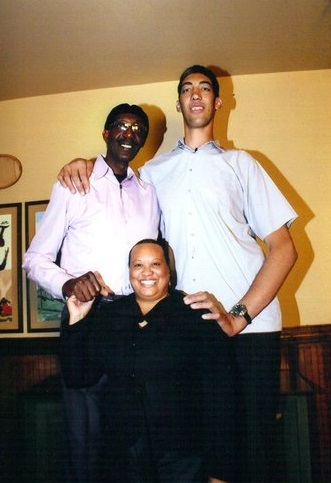 Bride giant Merv dibo barely get him up to the elbow.